Method Man Biography, Net Worth, Wife - Tamika Smith, How Tall is He? Method Man has created a name and space for himself in the fields of music and acting. He is a known rapper who developed as one of the most visible voices from the East Coast hip-hop collective known as Wu-Tang Clan. He also forms a part of a duo with another rapper known as Redman. There are certainly many things of note about this man who is as dedicated a family man as he is a successful rapper, and we have the major details below. Method Man was given the name of Clifford Smith at birth on the 2nd of March 1971 as the third child of his family. He, like his sisters, divided his time between his parents who were separated at the time. His father lived in Long Island and his mother in Staten Island so a young Clifford was raised in both places. The difficulty in his childhood stemmed not only from his parent’s separation but also from financial difficulties. Clifford took a lot of odd jobs to support himself and eventually ended up peddling drugs. Despite this rough childhood, he had some education in poetry and music from his father. This background allowed him to become a part of the Wu-Tang Clan, and he made it onto the group’s debut album which was called Enter the Wu-Tang: 36 Chambers. The Wu-Tang Clan allowed their members to also pursue solo careers and release their own projects under any record label of their choosing. Method Man chose to sign onto the rap label Def Jam Recordings and in 1994 he released his debut solo album which he named Tical. Tical was a critically acclaimed and very well received project. It entered American charts in the number 4 spot and has today sold over a million copies. One track titled All I Need of the album was remixed by Mary J. Blige and the remix went on to win the 1996 Grammy Award for Best Rap Performance by a Duo or Group. 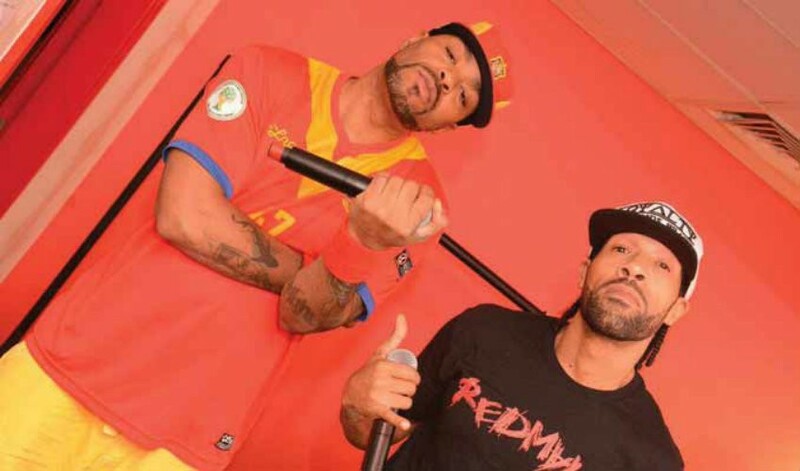 Speaking of duo’s, Method Man also found some incredible chemistry with another rapper called Redman and the two formed a hip-hop duo known simply as Method Man & Redman. With the amazing success that Method Man has had in music, he still went after an acting career starting in 1998s when he appeared in the film Belly alongside other rappers like Nas and DMX. Since then he has added many more credits both on feature films and Television series. In fact, he has had recurring roles in some big television shows like HBO’s The Wire and Oz. The rapper has also shown up in a series of video games made by Def Jam. Method Man is said to be worth $20 million. Most of that money still stems from his career in rap, but his acting appearances have also no doubt contributed. In 2009 he was arrested in his home area of Staten Island for failing to file income tax for the state of New York from 2004 to 2009 said to be worth $33,000. An allegedly guilty Clifford Smith was said to pay a $106,000 fine for the income tax violations. Method Man seems to be very invested in family, especially considering his own childhood with separated parents. He got engaged to the woman who became his wife, Tamika Smith, in 1999, and in 2001 the two got married. Tamika Smith has worked as a caretaker – providing developmental aid for adults who have physical disabilities at SIDDSO. Her Nursing Education was completed at Oneonta Job Corporation. Together, Tamika Smith and Method Man have three children. Their first son Sha Smith was given birth to in 1996, and in 1997 their second son Raekwon Smith was born along with their only daughter and last child Cheyenne Smith. The two sons are following in their father’s footsteps as rappers and the family lives in Staten Island, New York. In 2006, Tamika Smith was diagnosed with breast cancer. The family kept her entire fight with the disease pretty private, but thankfully her treatments seem to have worked. Audiences will take their rappers anyway they get them as long as they can drop those cool bars. Method Man can be considered tall at his height of 6 ft 3 in or 191 cm. A weight of 92 kg or 203 lbs when paired with that height gives the rapper a very healthy looking and fit frame.